Guys, thank you so much for all the encouraging words on the IACP nomination that you've written to me via emails and/or comments. You rock! Today, I'm off to audit a cooking class in pastry school to get a feel for things, wish me luck! Even though I won't be cooking, I'm excited and nervous about what the instructor might teach the students and the method the class is taught, the level of technique and skill required, this might be a good fit for me or it might not, etc. One thing's for sure It's going to be one crazy and fun experience. 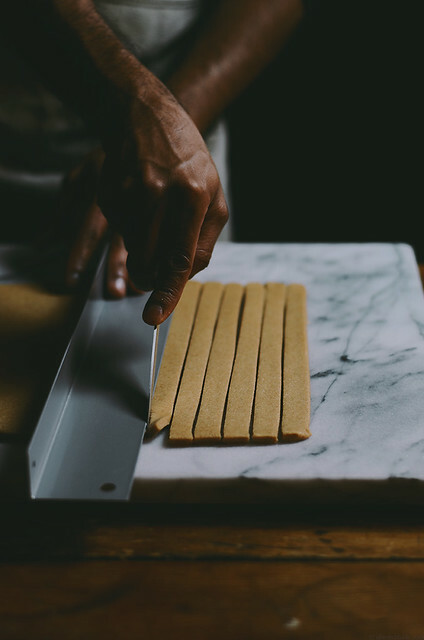 One of my favorite things to gift at a housewarming or to people that move into the neighborhood is a good simple pound cake but I also like to tie up and bag them homemade grissini or breadsticks along with a container of soup. 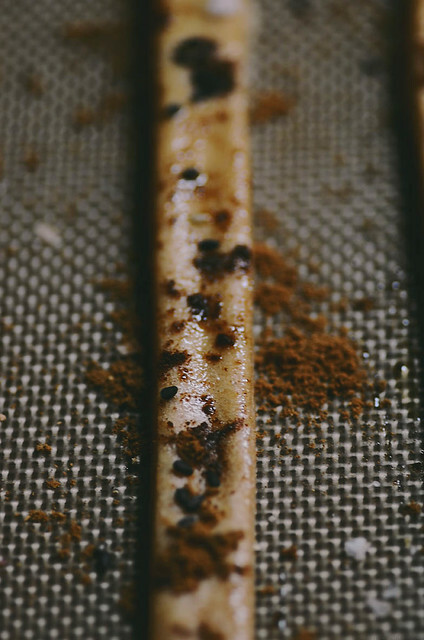 Once you've shaped and cut them breadsticks out you can pretty much sprinkle any type of dry spice mix you like. 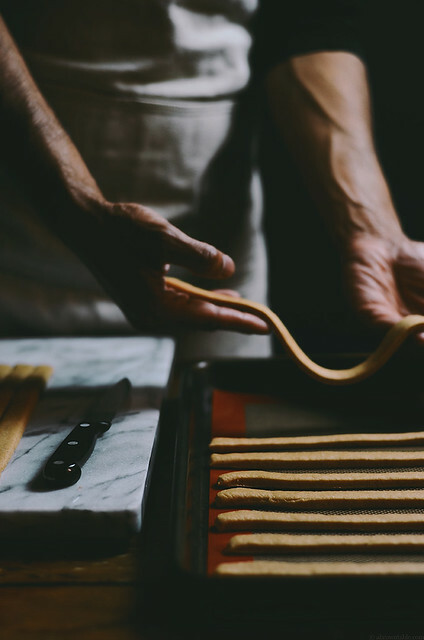 Grissini is easy to make at home and in some ways, probably easier and a lot quicker than making bread. 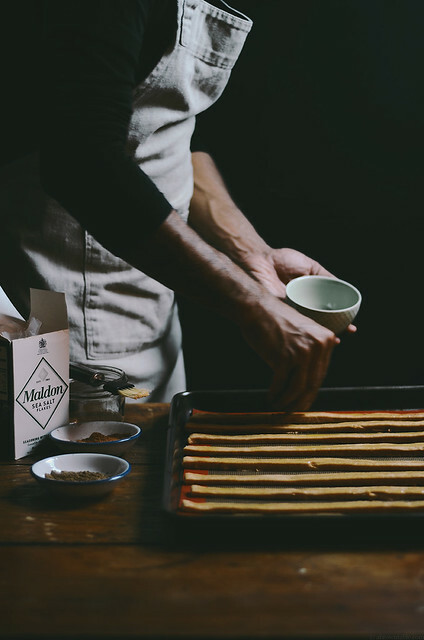 When it comes to seasoning them, I change things around quite a bit and I do this often whenever I make breadsticks. Today, I'm sharing my favorite three, a Persian advieh inspired mix made from fragrant edible rose petals and cinnamon, a Chinese 5-spice mix with black sesame and an Indian coriander seasoning. I always add a little bit of Maldon sea salt flakes too for a little extra flavor and texture. Persian dried limes are a wonderful ingredient to try out in the kitchen, if you haven't already, there's a lovely little write up on them here and the different things you can do with this fun spice. 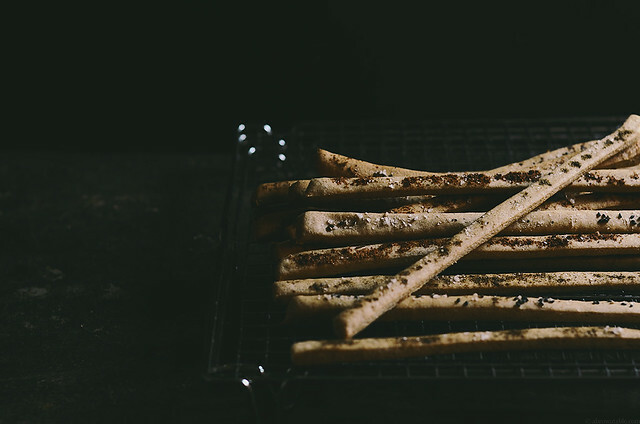 Grissini should be thin and crisp when baked. I didn't braid or twist them but you can do that too and then season them in the grooves. I like to eat these breadsticks with a bowl of hot tomato soup, or dip them in cheese or herbed butters or honey or a dip, etc. 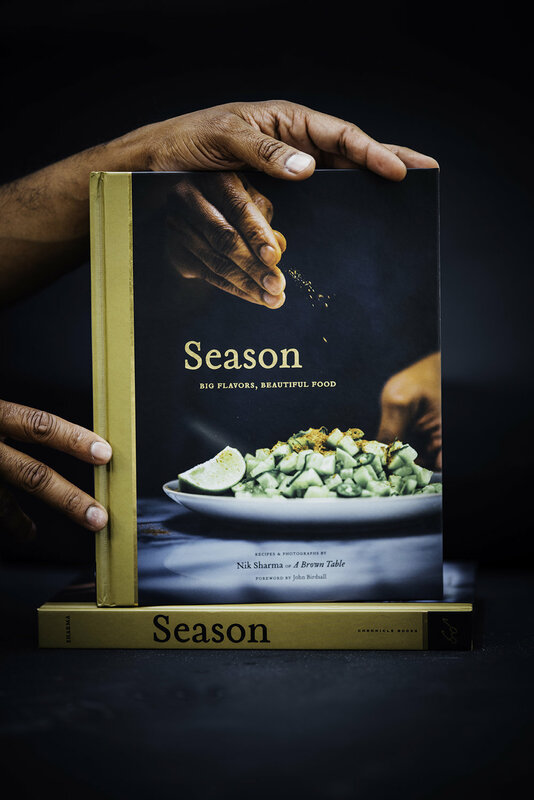 Friends, this is the final week to vote for your favorite food blogs at Saveur (nominations close on March 13, 2015) and if you haven't already, I'd be honored if you could take a moment to vote for my blog. To vote simply, click THIS. Thank you and have a great start to your week! You need good gluten development in this recipe. I use regular whole-wheat flour and knead it for a little bit to activate the gluten formation process. Resting the dough is also important to let the molecules in the network of the bread dough relax. * In most situations when I'm trying to let bread dough rise, I use this simple method for efficient yeast fermentation. Heat the oven to 200F for 10 minutes and then shut the oven off. Place the covered bowl containing the dough in the oven and shut the door to allow it to rise. This way you don't need to worry about where a cold draft of air might come from in your room or if your dog might be interested in sniffing bread. 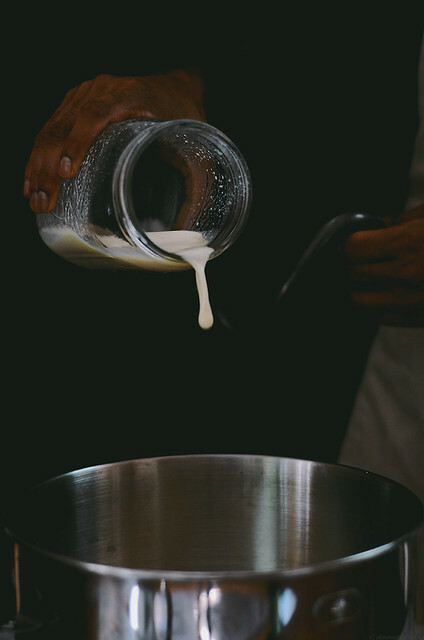 The dough has plenty of fat from the milk, butter and olive oil and should not be sticky. If it is, use minimal flour to roll out the dough. When cutting the strips, I recommend forming the rectangle and then trimming the edges after measuring with a ruler. Use a sharp knife to get an even edge. Persian dried limes are literally concentrated acid food bombs. Drop them into a stew and they will add a spark of delicious sour and tangy flavors to the dish. It is best to buy the dry lime whole and then grind it to a fine powder yourself. I've left the addition of this ingredient optional but if you can find at a Middle Eastern store try it out. When preparing the spice mixes together, use freshly ground ingredients for the best flavor. 1. Place the milk in a medium sized jar or bowl. Add all the ingredients from the honey to the yeast. Stir with a spoon or fork to mix and let it sit for 5 minutes at room temperature. The mixture will become frothy. If it doesn't get foamy then you will need to restart and repeat this step with new ingredients. 4. Place a wire rack in the center of the oven and preheat to 425F. Brush the surface of each strip of the dough on the baking sheets evenly with olive oil, sprinkle with a little of either of the seasoning mixes (see below for spice mix recipes) and a little maldon sea salt flakes. Bake in the oven for 8-10 minutes until golden brown rotating the tray halfway through the baking process. 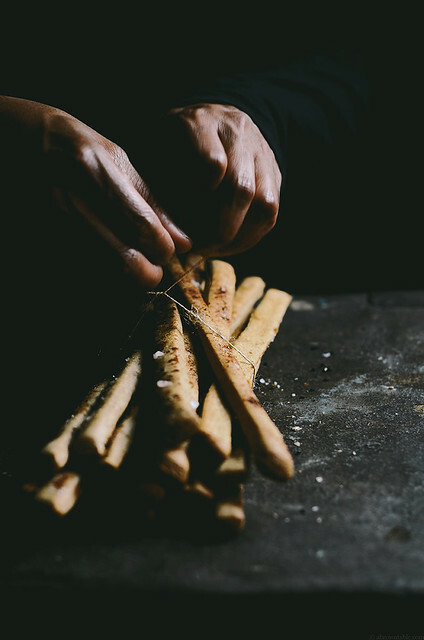 The breadsticks are very thin so watch them while they are baking as they can burn very easily, if you feel they are done, use your judgement and take them out. Transfer to a wire rack and cool completely. Serve when cool. 1. Mix all the ingredients except the black sesame seeds in a spice mill to get a fine powder. Remove and mix in the black sesame seeds. Use as desired. 1. 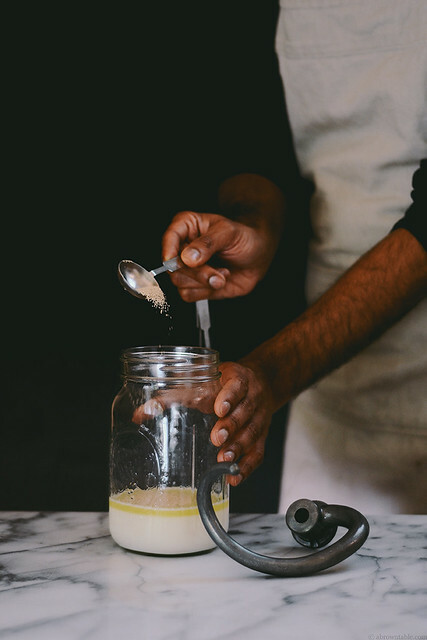 Grind the ingredients to a fine powder in a spice mill and use as desired.